DONE DEAL? 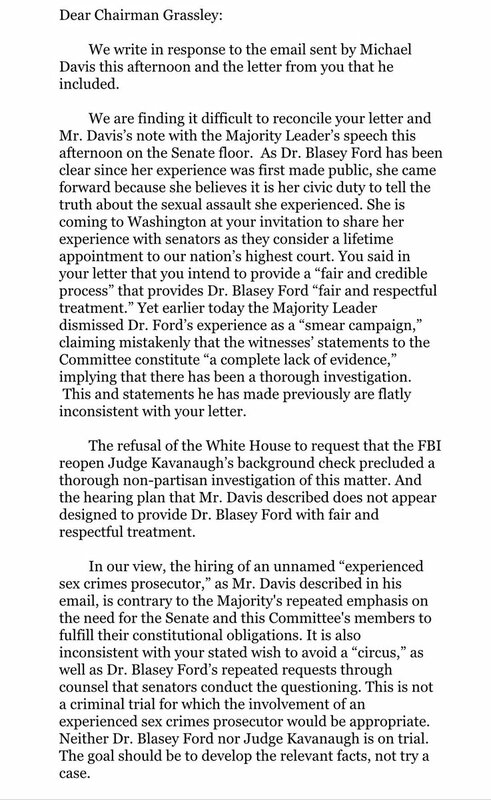 Ford’s attorney sends Judiciary Committee another letter with COMPLAINTS! They don’t like Mitch McConnell’s speech today, suggesting it won’t be a fair process. 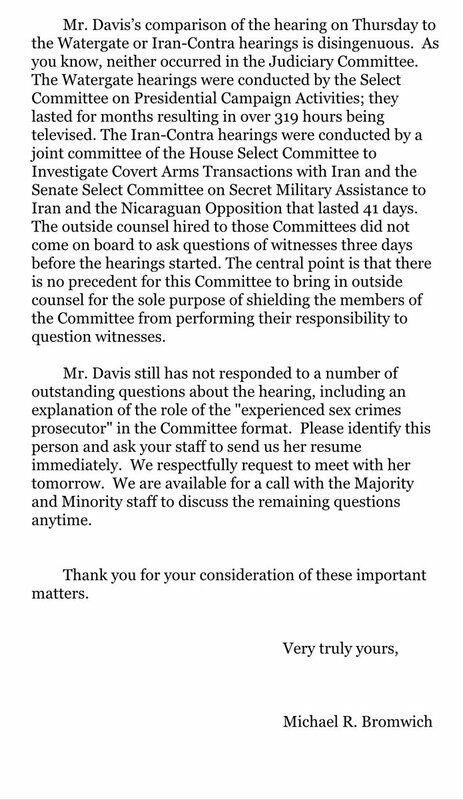 They also don’t like the idea of outside counsel asking the questions during the hearing. Republicans are probably right that Ford doesn’t really intend on coming to DC, that this is just a headfake to delay delay delay while Democrats can continue to scheme. That’s what this letter sounds like to me.